The man who opinion polls suggest is leading the Manitoba election race has laid out plans for his first 100 days in office if his party is elected Tuesday. Progressive Conservative Leader Brian Pallister says he is taking nothing for granted, but wants to give the public an idea of his agenda if the Tories oust the NDP government. 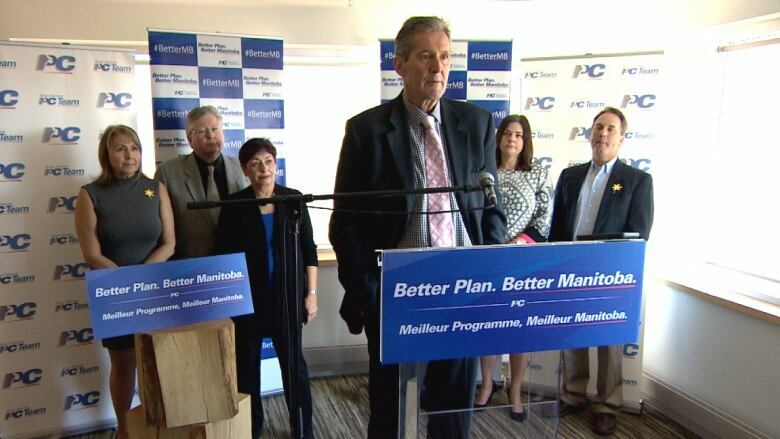 RAW: Brian Pallister on privatizing core government services 1:03Pallister says he would enact campaign promises such as ending a public subsidy for political parties. He also says he would cut the number of cabinet ministers by a third and start a value-for-money review to trim government costs. The Tory leader would also move quickly to reduce ambulance fees by half, although he can't say how long that might take to complete. Pallister says he would have to see how big the deficit was before committing to a firm timeline on the fees. Manitobans go to the polls on April 19.